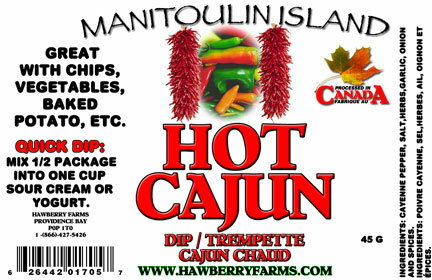 Click the button below to add the Hot Cajun Dip Mix Party Pack to your wish list. Colourful packages of dip mixes. Great for gift baskets, stockings or just to have a variety of mixes around the home. Ingredients: cayenne pepper, salt, herbs,garlic, onion and spices.